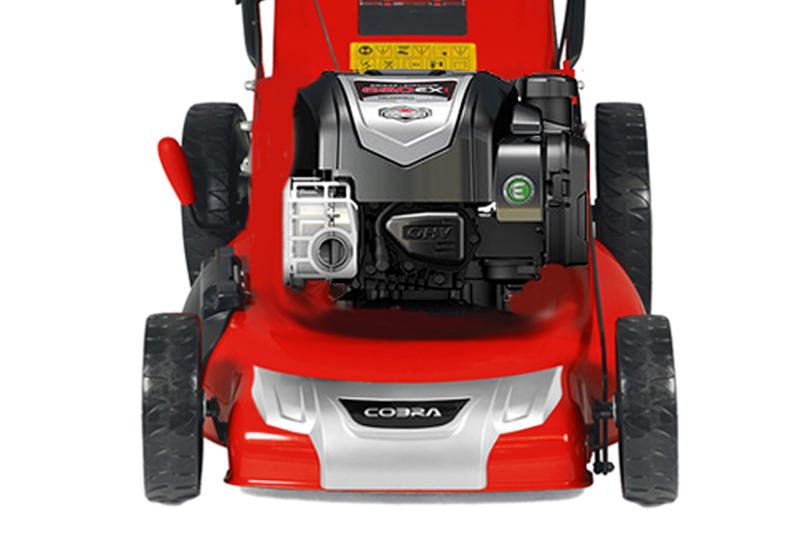 With exceptional performance and style, the Cobra M51SPB petrol 4-in-1 lawnmower is powered by a B&S 650EXi Series Ready Start engine and can either mulch, side / rear discharge or collect grass. 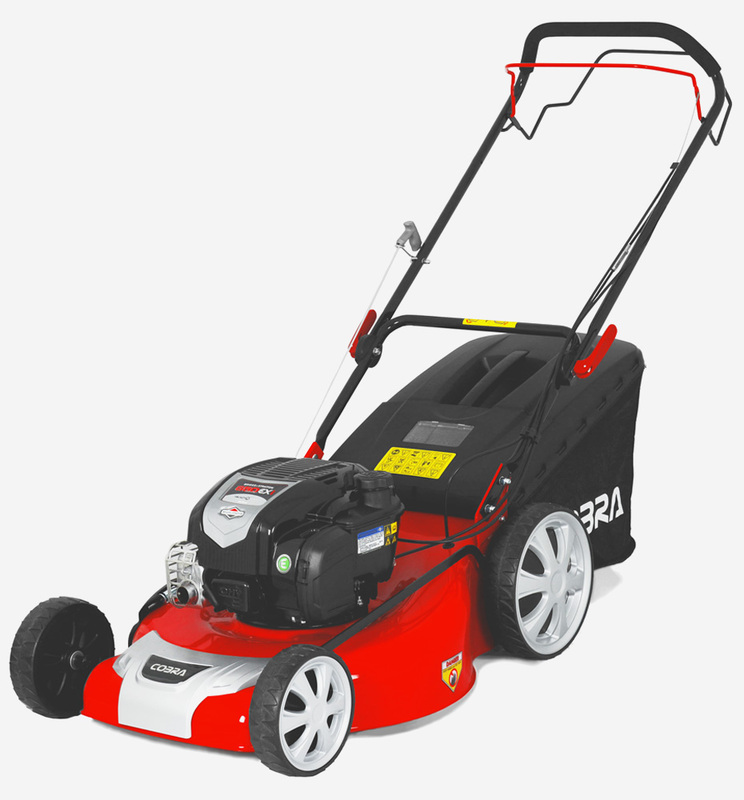 › Cutting Width: 51cm / 20"
The Briggs & Stratton 650EXI Series Ready Start engine is one of the best selling walk-behind lawnmower engine families of all time. Designed to deliver unprecedented reliability and performance, this series of engines has established itself as the prefered choice of engine. 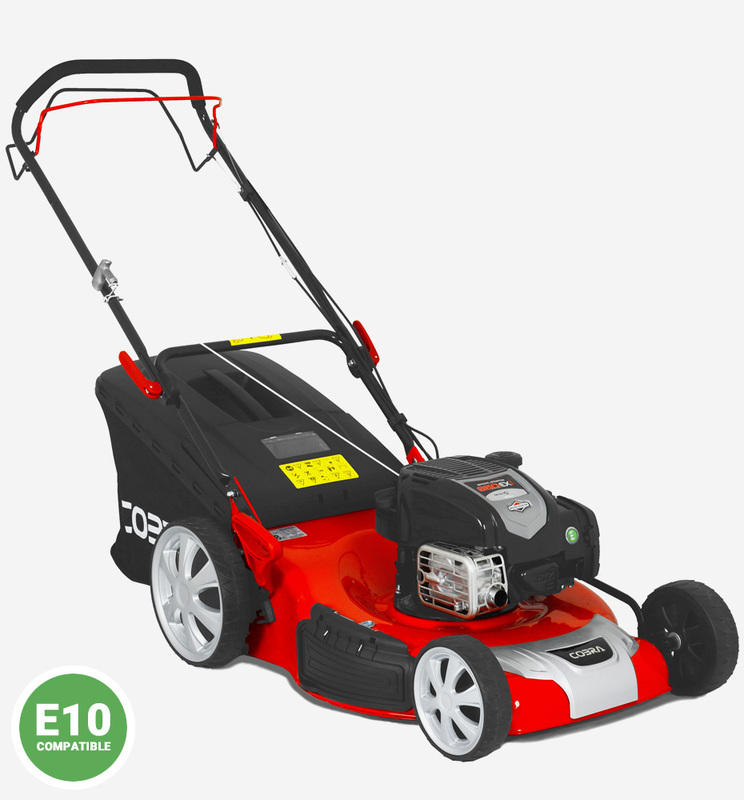 Ideal to power Cobra lawnmowers. 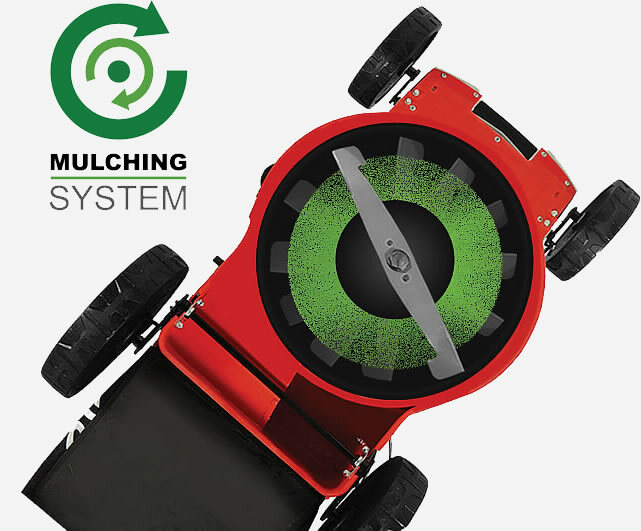 The M51SPB lawnmower from Cobra comes equipped with a mulch plug to enable you to mulch your grass clippings back into the lawn. re-cutting the clippings. As the clippings decompose, nutrients and fertilisers are returned to the soil meaning you can cut the grass and fertilise at the same time. 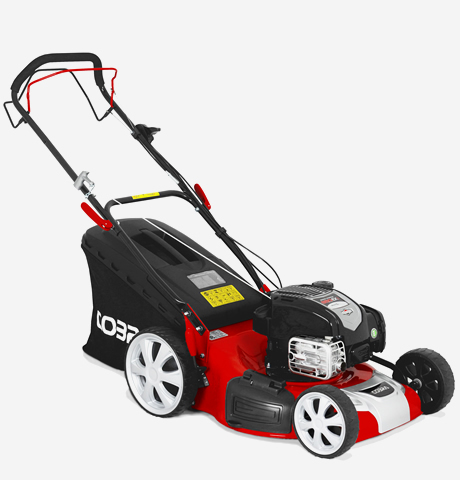 If you don't want to collect your grass cuttings or your lawn has become overgrown, the M51SPB comes equipped with a side discharge function. 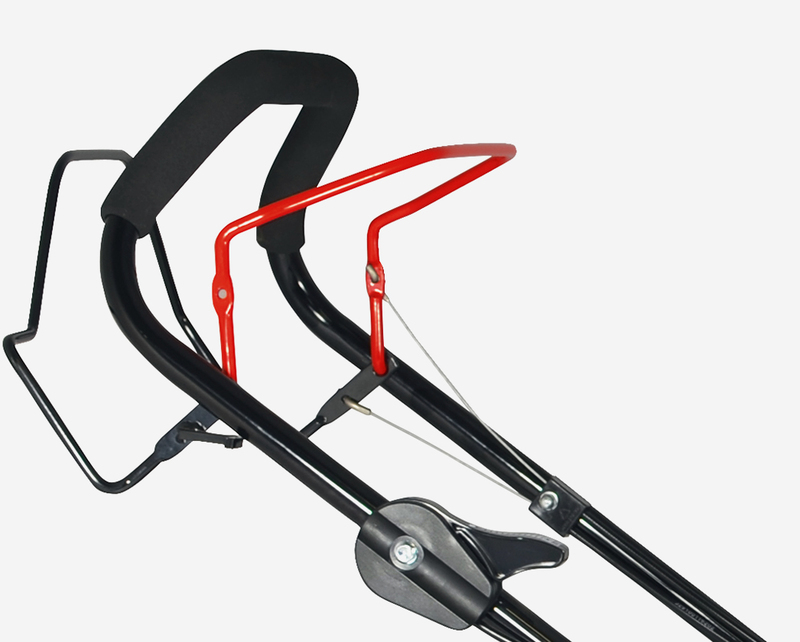 Simply lift the side blanking plate and insert the side discharge chute. The grass will now be discharged in neat lines to the side of where you are mowing. 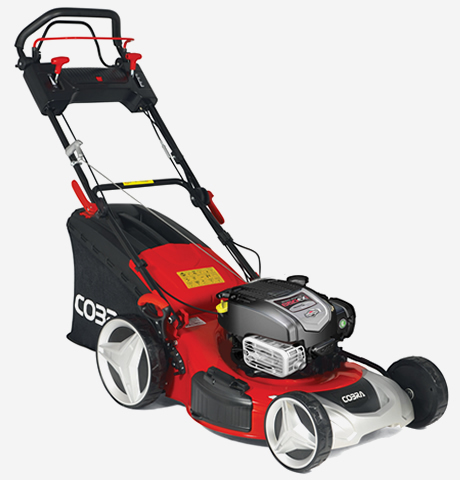 The Cobra M51SPB petrol lawnmower comes equipped with a self propelled drive system for added comfort and ease of operator use. The self propelled system takes all the effort out of pushing your lawnmower, meaning you can maintain your lawn with ease. 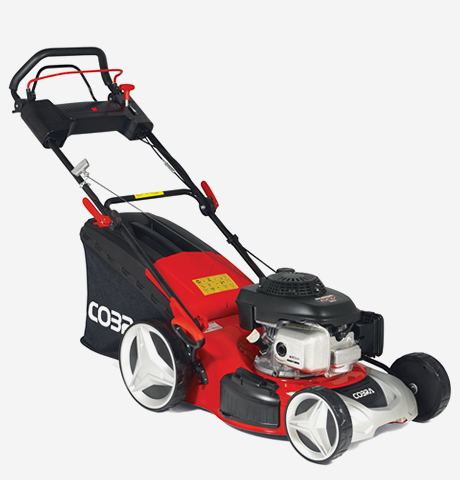 The Cobra M51SPB petrol lawnmower is equipped with a 60ltr fabric grass bag, ideal for collecting large amounts of grass clippings before the need for emptying. The grass bag on the Cobra M51SPB is made from a robust, high quality fabric. This fabric enables a strong free flow of air which means that grass collection on this machine is even more compact and comprehensive. 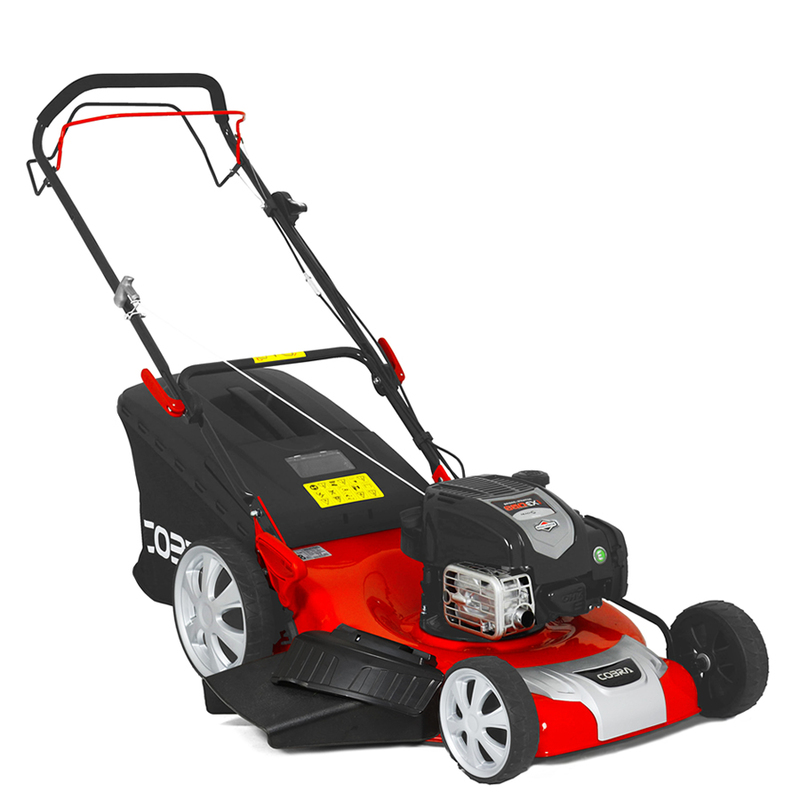 The Cobra M51SPB petrol lawnmower has 10 adjustable cutting heights ranging from 25mm for a superb low finish, up to 75mm for tackling longer grass.